It’s not very often that you can take part in an event as a whole family! We are delighted to be able to offer flexible timed karting sessions for all ages from 8yrs plus. Mixed karts out on track at the same time will allow you a little friendly competition and a lot of laughs. One thing's for sure, it's going to be competitive between the children and the adults to be the fastest! 10, 20 and 30 minute sessions are available. No minimum numbers required. Exciting karting track sessions for the whole family! Sessions last for 10, 20 or 30 minutes and each driver will receive an individual print-out of all their lap times. 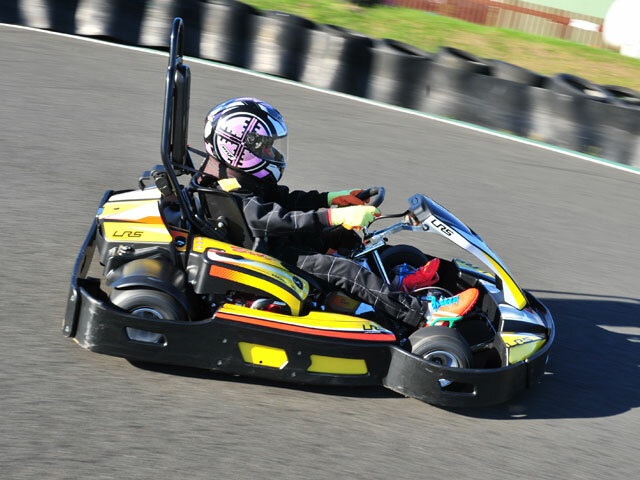 Our popular mixed kart sessions are the perfect choice if you want to spend a bit of quality family time! Kids from 8-11yrs will be in charge of our nifty ‘LR5’ Sodi Little Racer Karts, these are capable of speeds up to 25mph. 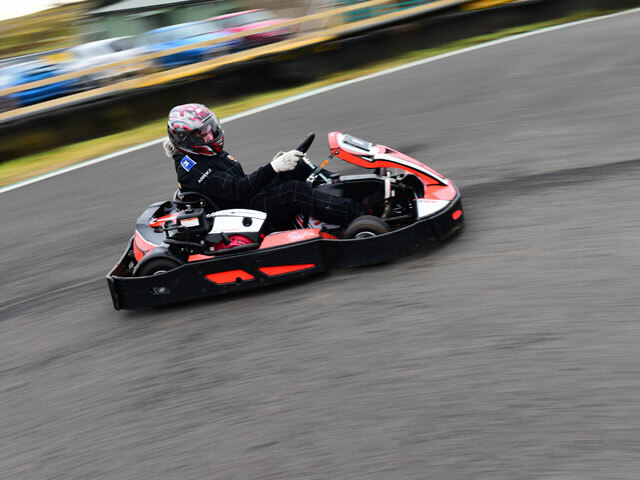 Bigger kids 12-15yrs and adults will be driving an LPG powered GT5 Pro Kart. 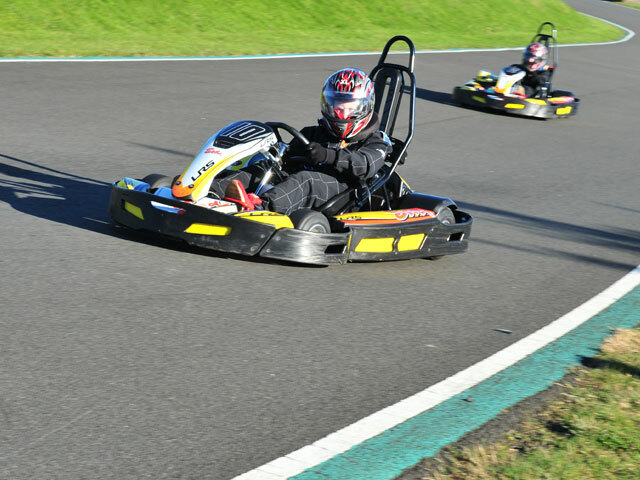 Our Karts are some of the latest quality models with excellent safety features. Q. What is a family session? A. A session allowing the whole family out on track together! 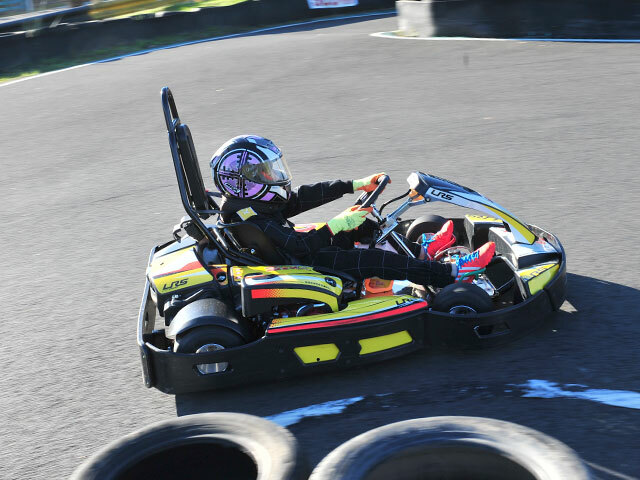 Adults in Pro Karts and kids in Cadet Karts can enjoy some fast friendly family fun! Q. How long can we go karting for? A.We offer 10, 20 and 30 minute sessions; these run in half an hour intervals. Q. Can I go out with my younger kids? 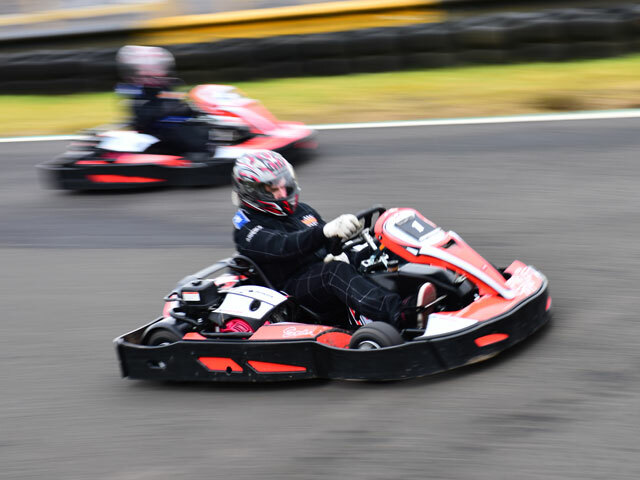 A.Yes, karting is available from ages 8+, a family session is ideal to take part together. Q. I have a child who is under 8 can they come with us? A.Unfortunately we don’t offer karting for under 8’s. Younger kids are very welcome to come along to cheer you on, however they must be accompanied by an adult at all times. We also have an outdoor play area which is located next to the karting centre. Q. How long is my Gift Voucher valid for? A.Karting Vouchers are valid for 8 months from date of purchase. Q. My Voucher has expired, can I still use it? A.Yes! You can extend the voucher for an additional £10 per month for a maximum of 6 additional months. A.We always highly recommend pre booking, especially for weekends allowing 2-4 weeks’ notice. We do also accept on the day bookings subject to availability and it’s worth giving us a call to check if we have any short notice availability. A.You can call us on 01383 723337. A 50% non-refundable deposit is required for all bookings. The full balance will be due in full on or before the day of the event. Q. Can I add other people to my booking? Q. How much notice do I have to give if I need to cancel my karting event or move the date? A.Your voucher and any deposit paid at time of booking is non-refundable and you will forfeit this voucher and deposit should you choose not to continue with your booking. We are happy to change your booking to an alternative date without penalty provided you can give us 14 days’ notice. Q. Is the Track exclusive to my booking? A.Not always, unless your booking meets the maximum allowed in a session, there may be other people out on track with you. Q. Will I receive confirmation of my karting booking? A.Yes. Once your booking has been secured we will send you an email confirmation containing details of your event, please check this as soon as you receive it and advise us of any changes. If you would prefer, this can be sent to you by post. A.We are an outdoor venue and are very experienced and set up to run in wet weather. We provide all drivers with full waterproof suits offering extra protection from the rain. If the weather becomes extreme and affects the safety of your event we may have to postpone and reschedule your event. We always attempt to contact you at the earliest opportunity and rebook for another date suitable for you. Q. Will I be entitled to a refund if my kart event is cancelled due to the weather? A. The event is non-refundable; however we will endeavour to find a new date that is convenient for you. Q. What happens if I pick the wrong event or wish to change the event once booked? A.You can change the format of your event as long as we have availability to accommodate your request. If you choose an event of a lesser value, the difference in price would be non-refundable. Q. Can family/friends come along to spectate? A.Yes, the more the merrier. There is indoor and outdoor viewing area. We also have a children’s play park beside the kart centre. Please check with us for opening hours. Unfortunately Dogs are not allowed at the circuit due to motorsport regulations. Q. How early should I arrive at Knockhill Karting Centre? A.You must arrive at least 20 mins before your booked time to allow for safety briefing and to get suited up so you are ready to start for your booked time. Late arrival may result in a loss of Tracktime. Q. Is there an age/height restriction? Q. What sort of clothes/footwear is best? A.Please dress for comfort and the outdoors. Flat shoes are required for Karting, high heels, sandals, platform shoes and work boots are not permitted. Drivers may be refused if appropriate footwear is not worn and unfortunately no refund will be given. We will provide you with full race suits, helmets, gloves and neck braces as standard. Waterproof outer suits will be provided in wet weather.